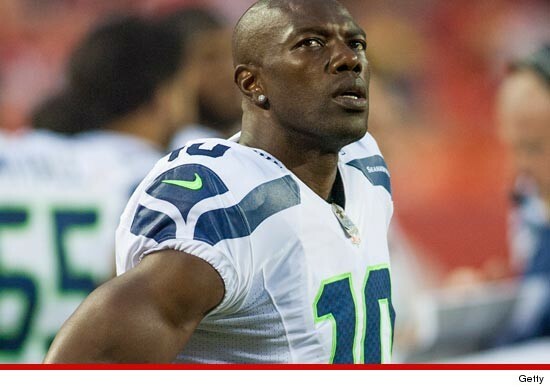 Terrell Owens only raked in a measly $28 per hour during his short pre-season stint with the Seattle Seahawks … this according to new docs filed in his L.A. child support case. As part of the case, which involves TWO of Terrell’s baby mamas, Owens is required to submit paperwork showing his financial status. Since Owens signed a tentative deal with the Seahawks around August 7th … he had to hand over his pay stubs … which show the 38-year-old raked in $4,342.86 for 152 hours of work with the team. T.O. was reportedly set to make $925k if he made the team … but he was cut after he failed to impress in 3 pre-season games. FYI — when T.O. was in his prime, dude signed a $49 MILLION deal with the Eagles.